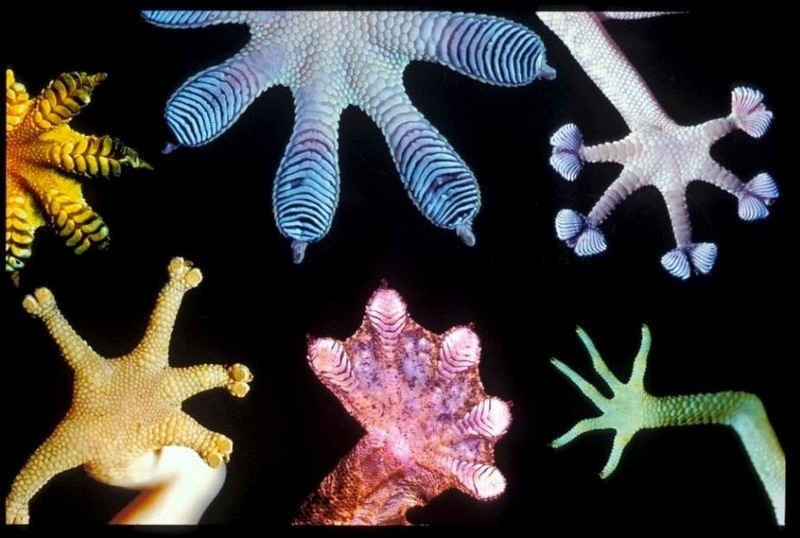 those adorable wrinkly toes of different gecko species - or are they aliens? As you can see, the underside of each toe isn't flat but contains hundreds of ridges, called lamellae, which together form a rugged pattern like a tire tread. 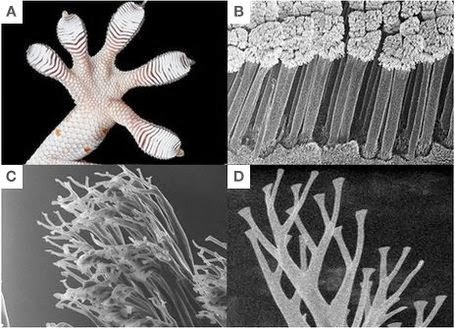 a microscope's view of the hierarchy of gecko toe structures. and the spatula tips (D) are increasingly tiny. On each of these ridges are millions (yes) of tiny bristle-like hairs, called setae, which are each 10 times thinner than a human hair and only as long as the width of two of our hairs. They are so dense that they look like rugs underneath each toe. You need a microscope to see the individual hairs, obviously, and if the scope is powerful enough, you can see that each individual hair splits at the ends into hundreds of tinier split ends, if you will. These split ends, called spatulae, are so teeny that they actually interact with the molecules of the climbing surface. Having this series of increasingly smaller structures enable the gecko's feet to closely conform to a variety of surfaces, from rough to smooth; in other words, the hairs and ridges squish into the microscopic nooks and crannies of the object underneath. Picture the rough tread in the sole of your sneakers (trainers) or hiking shoes that help keep you from slipping as you walk up hills or on smooth floors. Multiply this gripping power by a billion and that is the secret of the gecko's grip. Not all the hairs touch the surface in any given step – in fact, only a small fraction of them actually needs to touch to provide enough attraction to keep the lightweight gecko on its climbing surface. 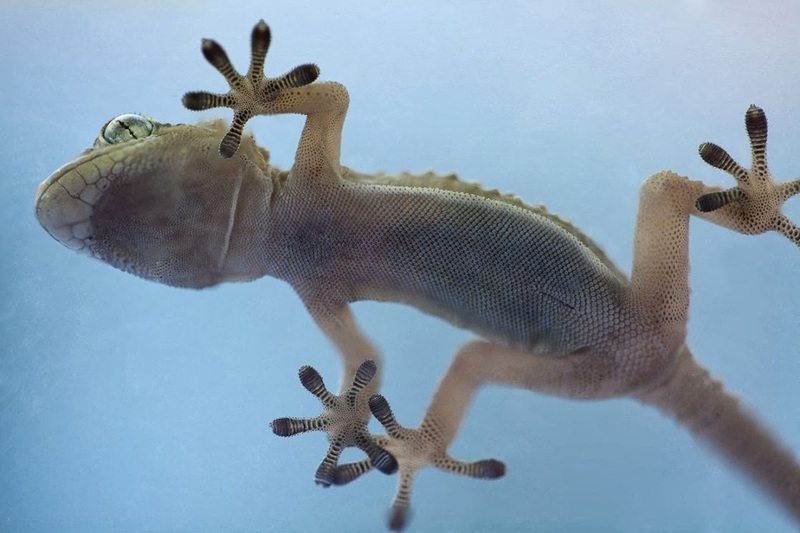 As the gecko takes a step, enough of these tiny hairs touch enough of the surface area to generate a type of attractive force (called van der Waals force) between the molecules in the hairs and those of the object. Remember electromagnetic charges? Me neither, but here, the molecules in the millions of hairs take on the charge ( + or –) opposite that of the wall or plant, which generates the attraction. 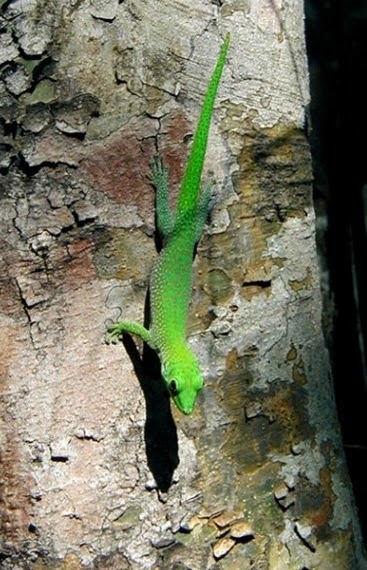 Because there are so many hairs doing this and so little space between the mass of hairs and the climbing surface, the force is enough to hold the gecko to the object. As David Attenborough puts it: it's "almost as if the foot becomes part of the object it is sticking to" -- you can watch him explain the gecko's sticky feet in this BBC Worldwide video. I still think it's some sort of magic. But not any old walking technique generates the magic. The toes have to be placed just so for the gecko to stick to the plant, wall, or ceiling: to produce the electromagnetic charge and its associated adhesion, geckos drag their toes just a wee bit as they step. The step-drag-step action causes those molecular interactions that are so key to "sticking" to the surface. OK, so the gecko is stuck to the wall. Or plant. And now it wants to move. Fast. Because a big bird is headed this way. How do geckos unglue themselves? They do it in toe-motion (sorry). The adhesion works in only one direction, so to detach their feet, they peel their toes back, as you do with tape, starting at one end, rather than all at once. As they do, the angle between the toe hairs and the surface changes, and once this angle gets to 30 degrees, the attractive force between the hairs and surface molecules breaks. This releases the foot so they can make the next step. Obviously, all this attaching and detaching happens lightning fast, and the gecko relies on a consistent adhesion to its climbing surface. But think about adhesive tape - what happens when it gets dirty? (Hint: no longer sticky, right?). Geckos live outdoors where there is a lot of dirt. So what happens when the gecko gets dirt on its feet (which they do) that would block all that molecular attraction and reduce its ability to hold on? Big fail? No. Geckos must clean their feet. But of course they can't just wash up each time they step on something. So how do gecko feet stay clean, even in dirty environments (like dirt), and continue sticking to smooth surfaces time after time? They self-clean by using a secret side-shift as they walk. With each step, a gecko drags its feet sideways before picking it up again, which removes particles and cleans its foot. A self-cleaning sticky foot. Think about adhesive tape - how many times does THAT stay sticky enough to reclose a bag, envelope, or package, once it's gotten dirt or dust on it? me discovering I am not a gecko. Not even a good mimic. In dry conditions. 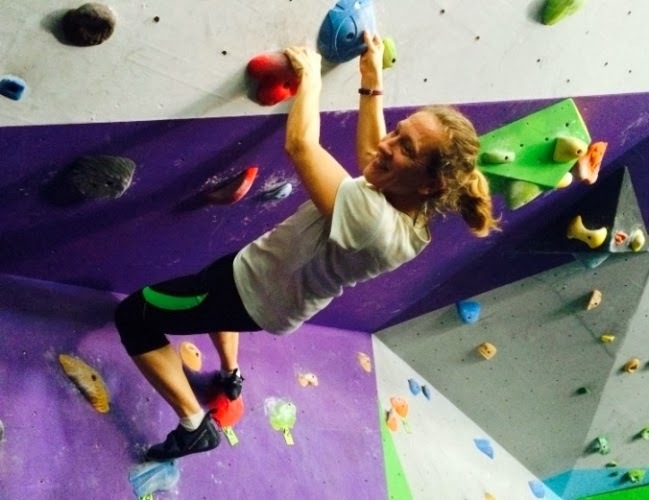 With footholds. Water is also not a problem for geckos. Their sticky feet may have evolved to help them climb and feed among the smooth waxy leaves of tropical plants. Water doesn't form a film on the waxy outside of plants (though it does on glass), so forest geckos can stick just as well in wet weather as they do in dry. Scientists have recently figured out how to mimic not only the gecko's amazing ability to attach to smooth surfaces but also its equally amazing step-drag-lift self-cleaning process. 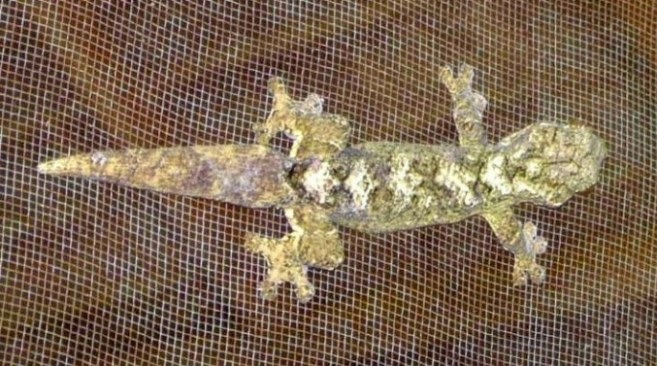 The researchers covered an adhesive tape with various sizes of microhairs to resemble a gecko's foot and then slid the tape laterally on smooth plates, to resemble the gecko's walking motion. Tape with hairs smaller than the diameter of most dirt particles was able to stay sticky longer. The scientists expect the technology to be used for tape (obviously) or bandages that can reseal numerous times, or for lifting heavy items, or even for search and rescue. They've also applied it to create climbing robots. You can probably think of some other practical uses for super strong adhesive that continually keeps its stick! 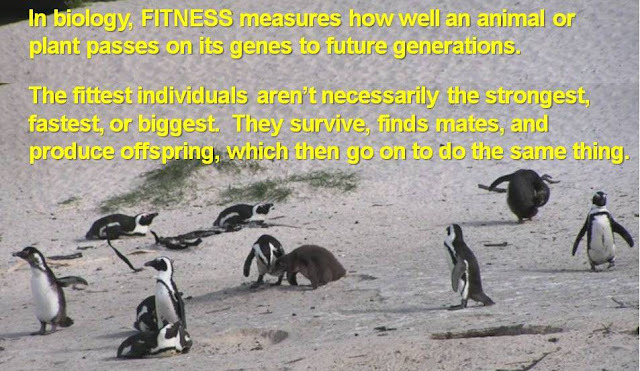 Learn more: there is some great footage on the geckos' amazing movements! In this 2009 TED talk, biologist Robert Full explains how geckos unstick their feet by peeling their toes back and away from the plant or wall. Major bonus: it also shoes how geckos use their tails to right themselves when they get off balance (which does happen, especially when scientists in the lab create wind from random directions to do just that). Another TED video that designs the perfect foot, for a variety of environments. Slightly more work involved: the original research papers on the mechanism behind the gecko's sticking power and on creating creating the latest adhesive tape that stays clean like the gecko's feet. 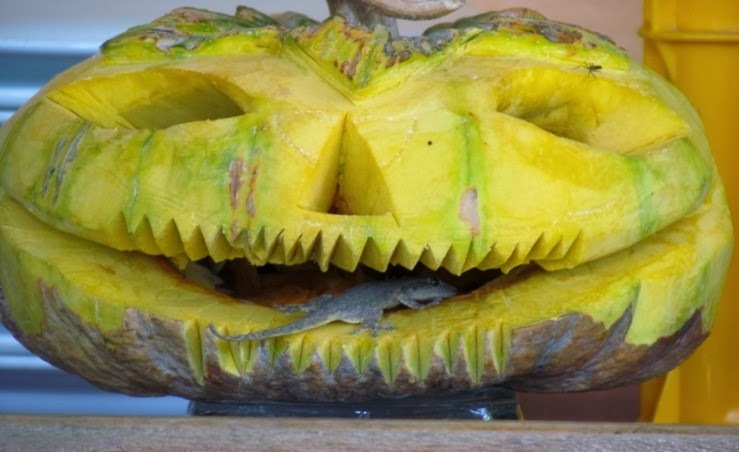 2) geckos like pumpkin too!